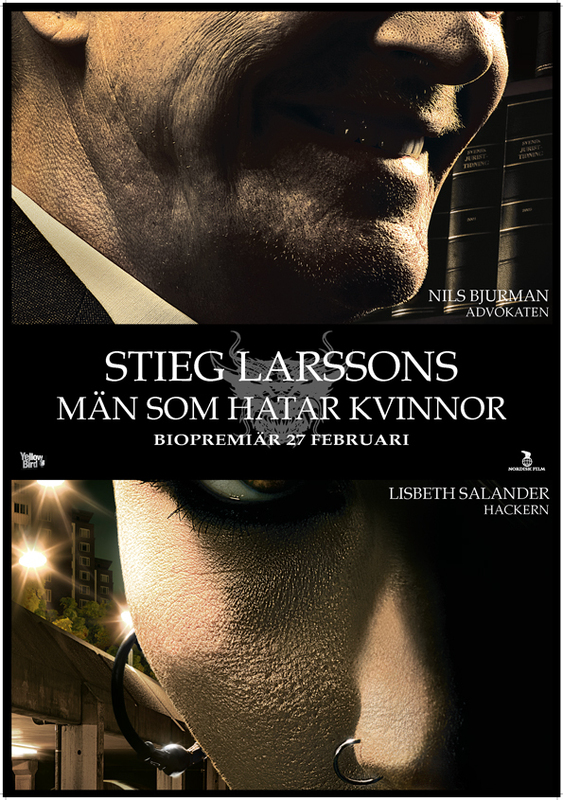 Blomkvist, a journalist, is hired to solve a womans disapearence and ends up digging up dirt in powerful mens past. During his investegation he teams up with a troubled female hacker, who turns out to be good help. Are sorry for the outburst, but after seeing Men Who Hates Women, this is so very clear to me! All the acting in the movie is very very good, and especially the two main characters does a very good job. I'm so happy it's a trilogy, since I really want more NOW. It's Niels Arden Oplev who has directed it, and I've seen Drømmen and To Verdener by him aswell, and I must say this is also a great job. The visuals and the pace of the movie makes a great movie in the genre. Dark, gritty, unforgiving and surprising. Both main characters has a past marked by events which has shaped them into sympathetic, stop-for-nothing investigators who'm you really wanna see succeed.